Assistant Chief Constable Andrea Bishop. Crown Copyright. All rights reserved. 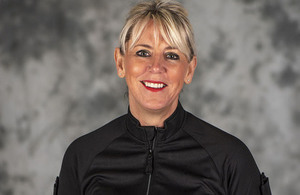 Andrea joins the MDP as Assistant Chief Constable on secondment from Kent Police, having recently completed the Strategic Command Course at the College of Policing.